Yesterday Shatto Milk had their annual Family Day at the Farm. 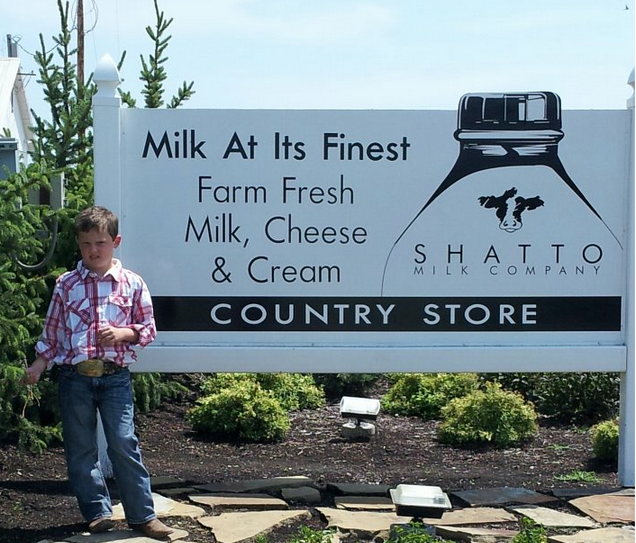 Since our review on their yummy Shatto Milk Ice Cream Sammiches, we thought we better check out where the delicious milk we buy comes from. The Bandit was really excited about seeing the milk cows and the bottle calves. 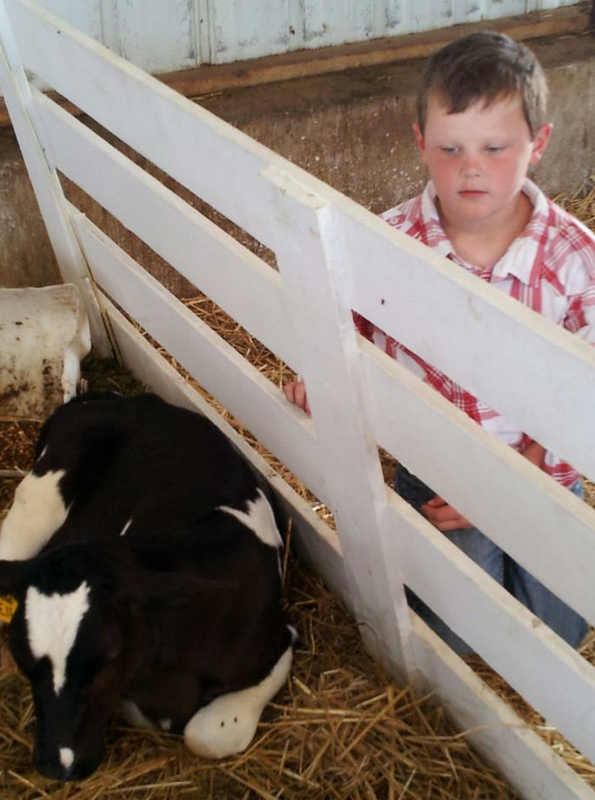 At the event everyone was able to tour the farm, pet the calves, view the cheese making process, register for prizes, sample their products, and visit their retail store. First we headed to sample some cheese, it was so delicious. We had only tried the white cheddar cheese curds. They offer a wide variety of cheese curds, but I have to say my favorite was the cajun ones! They weren’t even too spicy. The Bandit quickly went for his sample of the Shatto Cotton Candy Milk. Of course he acted like it was his first time sampling it, but he’s been known to empty the shelves at Hy-Vee on this milk. Then we headed out to the barn where the cows were eating. The Bandit tried to pet a couple but they quickly pulled their heads back. I couldn’t believe the size of some of their milk cows. It was a really hot day for them, but they look very happy and healthy. I stopped to talk to a very nice guy working the barn and asked him a bunch of questions. 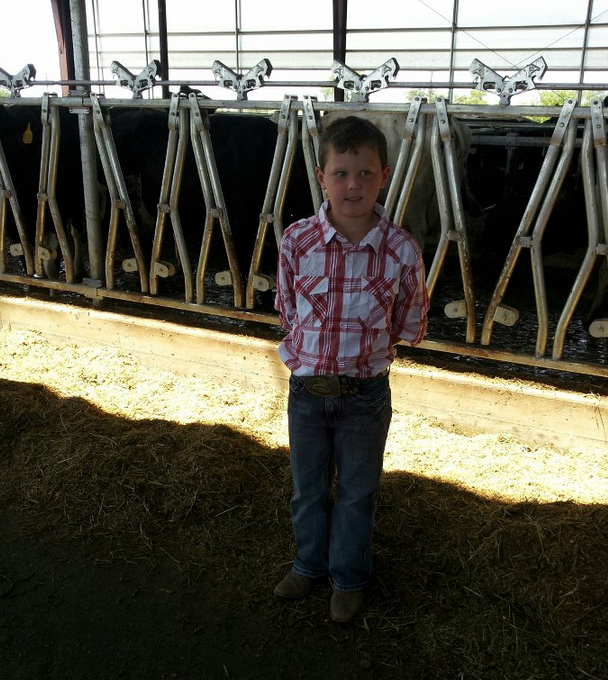 He said they have over 400 head of milk cows. As you may or may not know, the calves are taken off the cow and bottle fed. Can you imagine bottle feeding that many calves? We have had at most a couple at a time and it takes a lot of hard work keeping them fed and cared for so they grow up to be healthy. We normally have bottle calves because the mother does not accept them or she has died during the birthing process. Next year we are going to be sure to take the whole family! 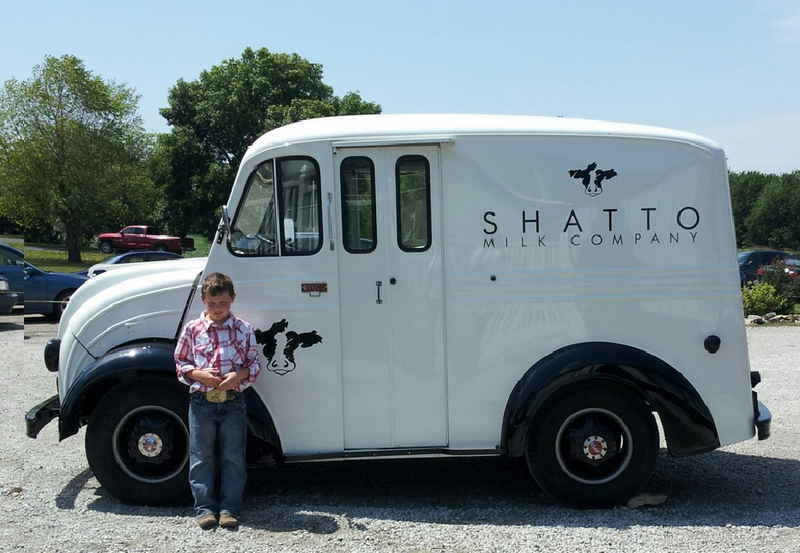 I do wish we could get our Shatto Milk closer. The closest store selling it is an hour away, so we always stock up to be sure we never run out! Bethany Hy-Vee needs to start stocking it! Hint, hint! What’s your favorite local product to buy?